Taisha ( 大斜, great slant) is an old term for large knight's move, now superseded by ogeima. 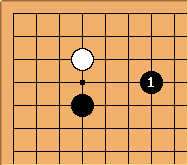 Colloquially, it is shorthand for taisha joseki and it has survived in this context. 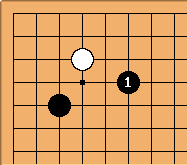 This move, a taishagake starts the classic taisha joseki. This move would be referred to as takamoku taishagake. This term is a combination of taisha and kake.